Tralee won’t disappoint you! 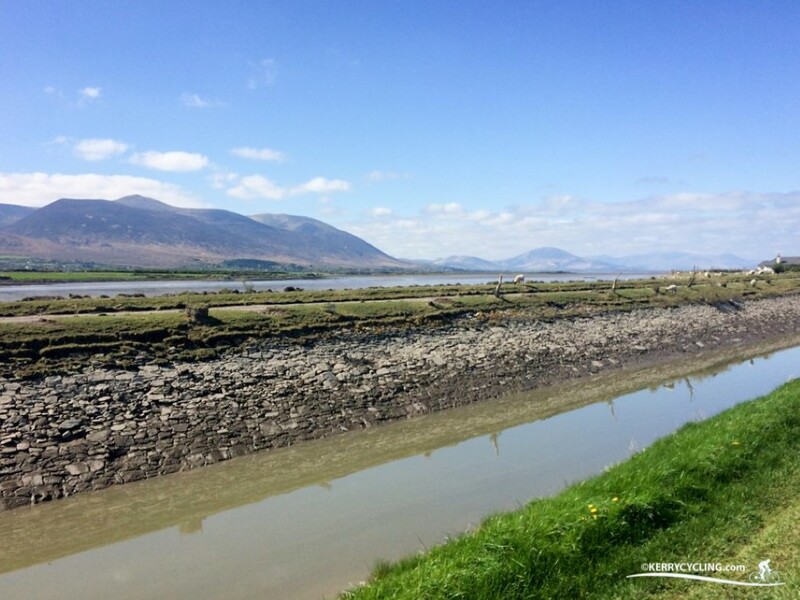 Dig a little below the surface and the area around Kerry’s capital town offers traffic free cycle/walking paths, historical buildings, quiet country lanes and delicious coffee and cake stops. Join us for a short and very doable cycle around Tralee and it’s hinterlands. Some of this route, particularly along the cycle/walking paths, will be busy with walkers and other cyclists so exercise caution. Also be mindful of traffic in and around Tralee town center and Blennerville. Although relatively flat the route does have very slight inclines around the Ballyard area. Exercise caution if cycling with youngsters or inexperienced cyclists as the route does include a share of public highways. We’d advise only children above the age of 12 to cycle this route and accompanied with an adult. Always wear your cycling helmet! Start this route opposite the tourist office at the Ashe Memorial at Tralee Town Park. Cycle into the park and travel 180 degrees around the Ashe Memorial before exiting onto Prince’s St adjacent to the Brandon Hotel. Cycle down to the round-about and enter the River Lee cycle/walking path at the far side of the Aquadome to your left. Follow this River-side path until it’s conclusion in a garden type area close to Lidl. Take a right and then a 2nd left down the picturesque Caherweesheen. Continue through the cross-roads and out on the winding road past stables, agricultural fields, the back of the rugby club and alongside and over the local meandering rivers and brooks. Take a right turn at the Scotia’s Grave/Short Mountain cross roads and proceed on a wooded and very country-fied road towards Blennerville. 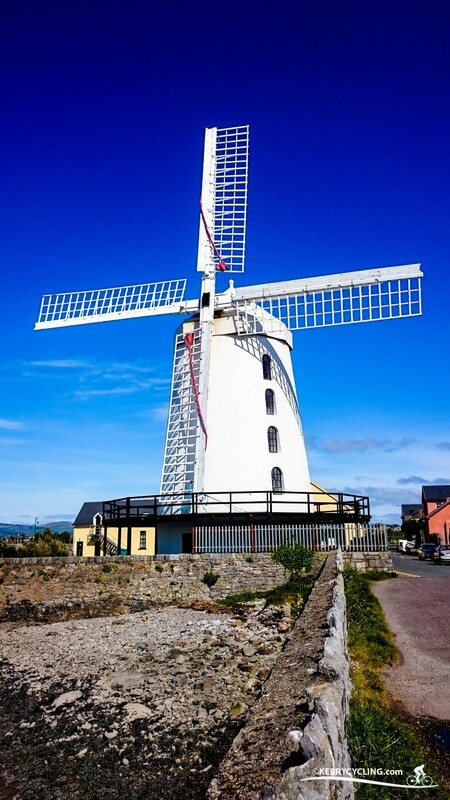 To reach the village with the famous windmill keep to the right and just beyond the s-bend take a right turn onto Curragraigue and proceed past the local GAA sports field (St Pats) to the main N86 (Tralee – Dingle road). The option is to take a left and pop into O’Shea’s for a snack or continue right past the windmill and over the mouth of the River Lee and the canal. Once over both bridges take a left turn onto the canal path and proceed to the lock gates at Cockershell beach. Follow the road around and proceed back travelling parallel along Whitewall to Lohercannon. Take a right at the junction and follow the road around to the entrance back on to the canal path. Follow the canal back towards Tralee and it’s Marina. On leaving the Marina take a left and follow the road over the mini roundabout near Strand St and proceed along Matt Talbot Rd to the lights. A left at the lights will see you cycling up a slight incline for a mile towards the Fenit/Ballyheigue direction. Take a right at the round-about at O’Donnells and another right onto the Fenit – Tralee greenway. 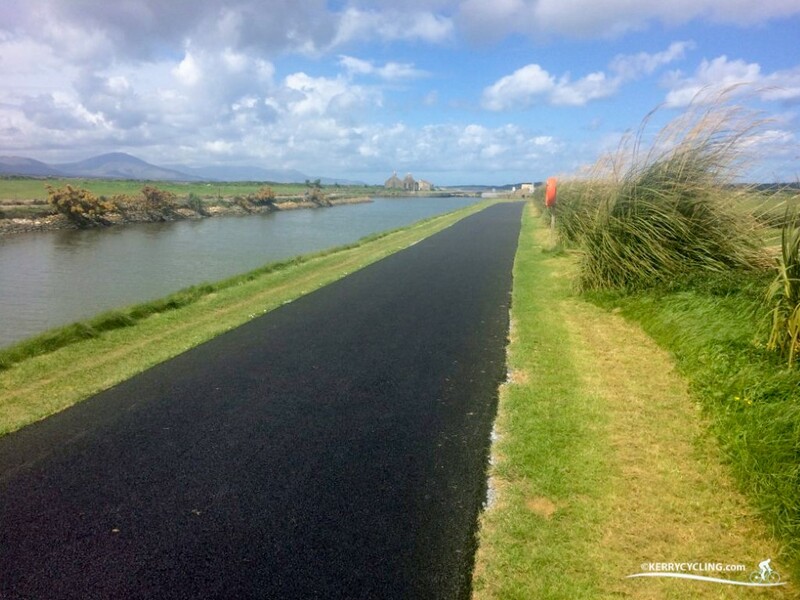 This path is the phase one of the proposed greenway to the seaside resort laying 13km west of Tralee. The next section is downhill and on traffic free paths. Cross Upper Rock St and continue on the final stretch as far as Oakpark Road. Take a right turn proceed through the lights and across the next set of lights towards and into St Johns Church. Follow the road around to the right, through a parking lot, before turning left onto Denny St and back to the Ashe Memorial and the Town Park. Ballyseedy at the Wetlands (1km/19km)- Open all year round.